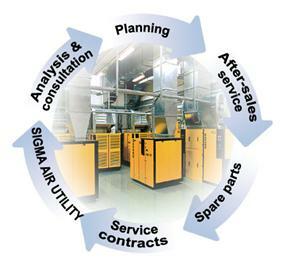 R and R Compressor Service Co. trained staff can help design a system for your needs. Not all compressors are created equal. We realize that our end-users need ways, not only to improve their air system but to be able to choose the appropriate system that will provide best efficiency resulting in increasing productivity. Choosing the right equipment is only part of the story. Choosing the right equipment that is maintained properly can make a substantial difference in the lifetime performance and efficiency expected.